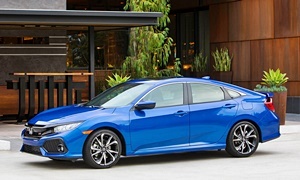 If you can find a Mazda 3 or Honda Civic that meet your criteria, grab ir. The Mazda would be especially good if you can find a hatchback. 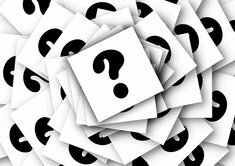 Any Mitsubishi - they got caught covering up problems some years back, and it's a crapshoot as to how much longer they'll be around. Any Volkswagen - I had one a few years ago that I couldn't keep out of the shop, and after the diesel thing, their integrity is shot. 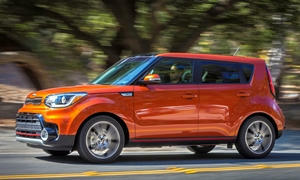 The Kia Soul is another good option. Funky/cool/quirky looks, excellent visibility, super-practical, comes with all the nice extras that anyone can appreciate - good stereo, power everything, etc. etc. I would look for a Kia Forte, Hyundai Elantra, or a Mazda 3. 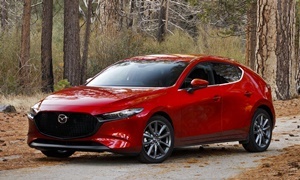 Mazda 3 would be the best choice because it's fun to drive and very no-frills and reliable, but the Hyundai and Kia have already took their typical huge depreciation hit and they're pretty reliable. Like several others who have replied before me, I also highly recommend the Mazda3. I have a 2006 Mazda3 that I've owned since it was new and it's still a great car almost 12 years later! 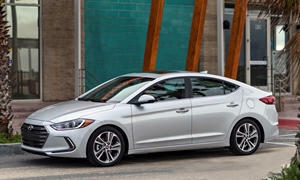 To keep the price within your $10k budget, your best bet will be a 2012-2013 i Sport or i Touring sedan. The 2nd generation Mazda3 covered 2010-2013, but the car received some very significant upgrades for 2012. The updates included the addition of Mazda's SKYACTIV 2.0L 4-cylinder which improved fuel economy substantially. So I'd shoot for a 2012 or 2013. 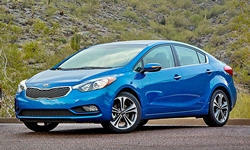 The Kia Soul and Forte have also been mentioned and those are also good alternatives. The Forte was redesigned for 2014 and you should have no trouble finding a 2014 or 2015 for $10k. Most of the Souls that you will find for $10k or less (and 2012 or newer with less than 75k miles) are the 'Base' model. I would suggest looking for a '+' (pronounced 'Plus' in Kia-speak) with the 2.0L engine, upgraded interior and a lot of other small extras that are lacking on the base model. The Honda Fit is another great choice for a college kid. They are extremely reliable, economical to operate and they have an amazing amount of interior space for a subcompact. To keep it under the $10k mark, you'll probably be looking at 2012 (maybe 2013) models and older. The final recommendation I have is the 2011-2014 Scion xB or xD. They're small, cheap to run and maintain and they're 100% Toyota so they'll last forever. A quick note about one recommendation made above by another mention- the Ford Focus. The Focus has a lot of great qualities and you can find great deals on them (even new ones for $13k), but they have one fatal flaw...the transmission! The type of automatic transmission used in the Focus (and Fiesta) have been notoriously unreliable and I would steer clear of the Focus for that reason. It's a shame because they're great cars otherwise. Toyota Corolla, Honda Civic, Mazda 3, 6, or CX5, Nissan Sentra. Stay away from BMW, Audi, Volkswagon.